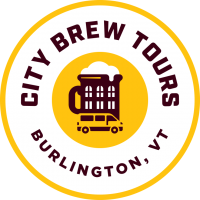 Spend the day with Burlington Brew Tours as we sample our way through the state. A journey filled with craft breweries, artisan beers and delicious food! Visits to Magic Hat Brewing Company, Switchback Brewing Company, Vermont Pub and Brewery , Fiddlehead Brewing Company, Rock Art Brewery, Trapp Brewery, The Alchemist, and many more. Choose a pre-selected tour or craft your own private tour.